Jakarta gets the 47th rank of Top 50 Smart City Government 2018 from 140 cities of the world.
" 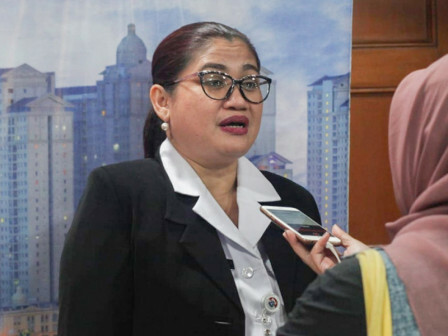 Jakarta ranks 47th for the best smart city in the world"
Jakarta Communications Information and Statistics Department Head, Atika Nur Rahmania mentioned, this predicate is given based on 10 assessment indicators. Jakarta has the highest score when it is governed by Anies Baswedan. "Thanks to God, we just heard from Eden Strategy Institute, a consulting company, that from 140 cities, Jakarta gets into the Top 50 for its smart city development," she said, Thursday (1/17). She explained, this achievement becomes Jakarta's motivation to be better because of many opportunities to develop the innovations. "In the future, Jakarta Government will prepare smart city 4.0 and lead into city 4.0 which is focus to develop collaborative platform," she informed. This award becomes Jakarta Government's motivation to improve their programs using Talent-Readiness indicator thus human resources (HR) in Jakarta become better in quality, and competitive. "It is a good news for Indonesia that Jakarta ranks 47th for the best smart city in the world," she asserted. Jakarta Smart City Management Unit Head, Setiaji conveyed, Jakarta now has better technology to develop smart city. "Jakarta has implemented big data, IOT. There are more than 200,000 sensors in Jakarta using CCTV and others," he added. Through Jakarta Smart City, government implements smart city concept by optimizing information technology and communication to know various data in the City more effectively and efficiently. It is to give the best public services, solution, and support to a sustainable development. "We want all people to know more about Jakarta," he asserted. 1. Vision : A clear and well-defined strategy to develop a "smart city". 2. Leadership: Dedicated City leadership that steers smart city projects. 3. Budget: Sufficient funding for smart city projects. 4. Financial Incentives: Financial incentives to effectively encourage private sector participation (e.g. grants, rebates, subsidies, competitions). 5. Support Programs: In-kind programs to encourage private actors to participate (e.g. incubators, events, networks). 6. Talent Readiness: Programs to equip the city's talent with smart skills. 7. People-centric: A sincere, people-first design of the future city. 8. Innovation Ecosystems: A comprehensive range of engaged stakeholders to sustain innovation. 9. Smart Policies: A conducive policy environment for smart city development (e.g data governance, IP protection, urban design). 10. Track Record: The government's experience in catalyzing successful smart city initiatives.